On Saturday October 18 a special film series dedicated to Italian film director Bernardo Bertolucci will be screen at the Castro Theater in San Francisco. The program is organized by the Istituto Luce-Cinecittà in Rome, the Italian Cultural Institute of San Francisco and program director Amelia Antonucci. (Last year Antonucci presented a film series on Pier Paolo Pasolini with the same sponsors, and actor Ninetto Davili was a guest). Four films including the centerpiece, a 3D screening of a newly restored version of THE LAST EMPEROR will be screened that was presented for the first time at the Cannes Film Festival last year. In honor of this occasion, actress Joan Chen who appears in the film,will be present at the Castro to see the new version for the first time. Joan Chen plays Empress Wanrong,the wife of Pu Yi, the last emperor of China . The Japanese government proclaimed Puyi as the first Emperor of Manchukuo and Wanrong as Empress in 1932. Wanrong, whose husband was often away became a heavy opium addict. Joan Chen was excellent in the film in playing the Empress. She remarked in Arthur Dong’s brilliant documentary "Hollywood Chinese" that had she been a white actress her career would have taken off after the critical acclaim she received. THE LAST EMPEROR spans Pu Yi’s life in the Forbidden City in Bejing from 1908 up to the Cultural Revolution where he is displaced and imprisoned by Chinese communists. THE LAST EMPEROR was also the first feature film to be authorized by the Chinese government to be filmed at the Forbidden City. The film won nine Academy Awards, including Best Picture and Best Director, three BAFTAs including Best Picture and four Golden Globes including Best Director. THE CONFORMIST (IL CONFORMISTA) (1970) based on the novel by Alberto Moravia starring Jean-Louis Trintignant Stefania Sandrelli and Dominique Sanda. Trintignant plays Marcello Clerici, an Italian who is going to assassinate his teacher living in exile in Paris for the fascist cause, and falls in love with his wife played by Sanda. THE SHELTERING SKY (IL TÉ NEL DESERTO) (1990) – is an adaptation of Paul Bowles’s novel and stars John Malkovich and Debra Winger. 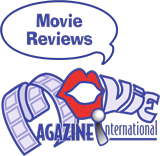 They play a couple who have been married for 10 years and who attempt to breathe new life into their relationship in the African desert. 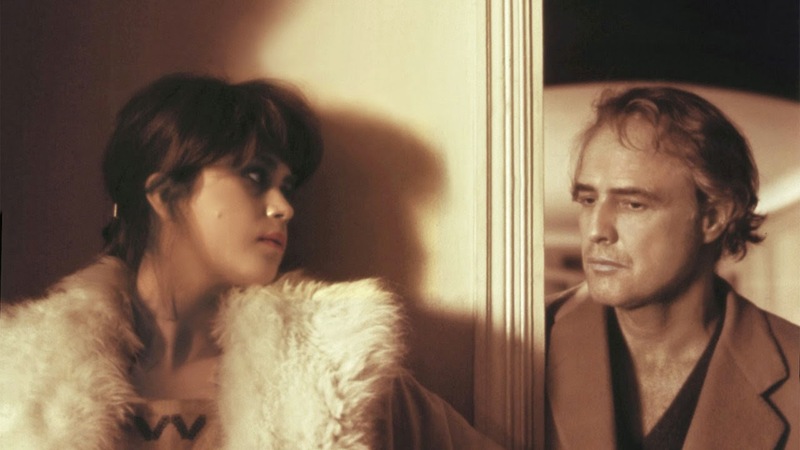 LAST TANGO IN PARIS (ULTIMO TANGO A PARIGI) (1972) – stars Maria Schneider and Marlon Brando, a couple who meets after the suicide of Paul’s wife and who embark on a clandestine sexual encounter. The film was improvised and many of the scenes were made without Schneider’s approval. She was angry with Bertolucci for many years for exploiting her on screen. Her next film, The Passenger by Antonioni opposite Jack Nicholson shows what she could have done as a serious actress had it been her first film. BERNARDO BERTOLUCCI was born in Italy in 1940 and first served as an apprentice to the late Italian director Pier Paulo Pasolini. Many of his films are critical studies of fascism in Italy such as 1900 and Il Conformista. One could say that the sado masochistic relationship of Schneider and Brando is also an exploration of fascism. An interview with the late Maria Schneider will air on Movie Magazine on Oct 22.